Let's face it: when it comes to colon cancer, most people don't even want to talk. It involves private parts of your body, and some (though not all) screening options involve invasive tests, which can be a scary subject to broach for some. Unfortunately, this leads to a fairly low colon cancer awareness level among many people who are 50 years of age or older--those who are of screening age. Because the awareness level remains so low, there are plenty of prevailing myths about colon cancer out there that need to be debunked. Courtesy of our friends at American Cancer Society, here are five of the most common of these myths. 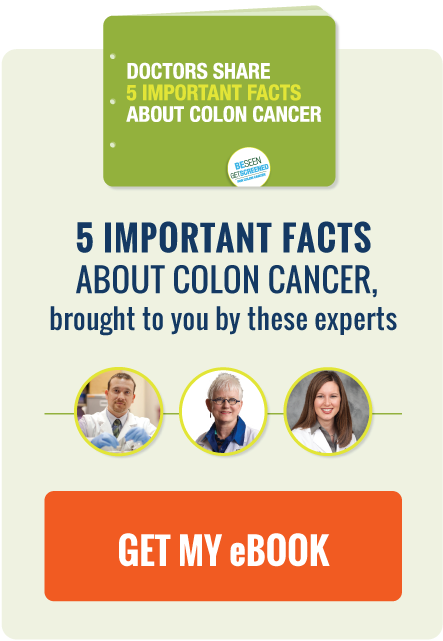 So there you have it: five of the most common myths about colon cancer and the truths that debunk them. If you hear anyone referencing these myths when discussing colon cancer screening, use this information to make sure they know the truth.